I just wanted to say a few things about a recent article put out by the AVMA and is floating around Facebook. In this article, the AVMA mentions that Tramadol does not work on arthritis or osteoarthritis. Well go google that and see how many human websites say otherwise. I trust the AVMA as much as I trust a snapping turtle. In this same article, it mentions Carprofen. This is the generic name for RIMADYL. We all know the deadly toxic side effects of Rimadyl or any NSAID in that case. So I strongly feel this article was to deter people away from Tramadol and increase the sales of Rimadyl. This may also be a ploy to get humans away from Tramadol. There is an epidemic in this country with overuse of pain medications. Go figure. Big Pharma is responsible for that. Pushing drugs on humans and pets. Either way, it is in my opinion, a bogus claim by the AVMA. Now with that said, let me explain. Tramadol does NOT reduce inflammation. There is inflammation in joints and injuries to joints including soft tissue injuries. Tramadol will not rid you of this. So I feel that possibly the AVMA is trying to steer people away from the use of Tramadol and in doing so, recommending Carprofen (RIMADYL) in this very same article. How obvious is this? They want to sell more NSAIDs to make even more money off of them and steer people away from the opioid use. So when using Tramadol, you will also need to use herbs that are specific for inflammation. This is an easy fix. Devil's Claw, Yucca, Turmeric, Green Lipped Mussel to name a few along with Glucosamine and you have a great mix of ingredients. Tramadol does come with its own set of risks but NSAIDs are extremely dangerous and have killed many pets even with the first dose. I do not recommend medications for much of anything but, if your dog has had surgery and is in a lot of pain, give meds for a couple of days until you can get the anti-inflammatory herbs going in along with other supplements. Why not use safe supplements that can accomplish the same goal? This website isn't about supporting conventional medicine. We support the AHVMA! 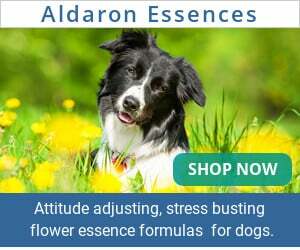 We work with using safe alternatives to help keep your dog healthier and live a longer life. Medications will eventually damage the kidneys and liver and other organs so why create more problems using these toxic medications. Medications are not made to be given for long term use. Short term use only. No longer than 2 weeks at most. I even seen one dog getting Rimadyl for one week and his kidney and liver numbers sky rocketed. This same vet wanted that dog on them for a month. That would have been one dead dog. I felt compelled to mention this article as it really ticked me off when I seen Carprofen included in the article which redirects vets and people into thinking it was the better choice. Ggrr. This so angers me. Don't let your vet bully you into pain meds that are high risk. While ALL medications have side effects and Tramadol doesn't have the best record either, I certainly would choose it over NSAIDs any day if I had to pick a DRUG! I normally will give my dog pain meds for 3 days after surgery or when a new injury occurs or if a severe case of pain creeps in..but only until I see improvement..which can be within as little as 24 hours. I also at the same time will be double dosing my joint supplement along with anti-inflammatory herbs. You can get busy helping your dog or just throw a pain pill down its throat and be done. You choose. But this website isn't about conventional medicine. I work in using the safest natural products I can find and recommend them to you. Why fight so hard to save your dog and help it become pain free just to have medications cause organ failure and/or create even more problems. It's just not worth it.